What good is a VP anyway? Started about my PhD on the vice presidency - but when I finished I realized, whenever you talk about the vice presidency, your are really talking about the presidency. 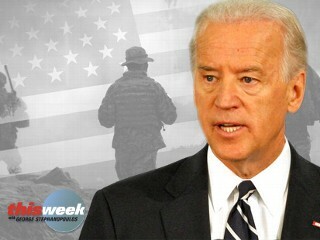 Vice President Biden has been taking on a higher profile role in the administration’s foreign policy. He has been travelling around the former Soviet Union, reassuring Ukraine and Georgia – just after the President tried to reset relations with Russia. Just before the Lebanese elections he gave a major speech in Beirut to Lebanon’s parliament. The elections were a setback for Hezbollah, and thus a success for the administration. A few seasoned Middle East experts argued that Biden’s appearance affected the election’s outcome. While other analysts disagreed that Biden had an impact – the mere fact that the debate took place indicates that the appearance was an attempt by the administration to exercise influence. And of course there was the well-publicized trip to Iraq. The policy questions are interesting, but this blog is about process and, in particular, what is the Vice President for? Woody Allen once said, “Ninety percent of life is just showing up.” Sending the VP is showing up in style, he (or she) is the diplomatic equivalent of sending a battleship to show the flag. A vice presidential visit is a good way to send the message both to leaders and to publics that the president cares about a given situation. The national security advisor may be an effective messenger to national leaders, but the NSA does not make the news or get parades. An NSA or regional Asst. Secretary of State can visit without much publicity, but a Vice President’s visit is a big deal. At least some components of whatever message needs to be delivered will become public. …a bureaucratic political strategy which seeks to build centers of strength responsive to the President at as many levels and places within the bureaucracy as possible. Fancy speak, for cadres up and down the bureaucratic ranks who can “show the flag,” that is remind people what the President wants to see done. It should be understood, that most of the denizens of massive bureaucracies are not opposed to the President, whoever it is. But managers in government agencies don’t usually hear much from the President and are much more likely to regularly hear from other constituencies such as congress, the media, interest groups, other agencies and in the case of foreign affairs, other countries. This is an interesting question – inside the bureaucracy, where is the VP best positioned to show the flag? Bush I played an inter-agency coordinating role on several national security issues (NSC’s Crisis Management Group, Counterterrorism Commission, and the South Florida Task Force.) He was generally given high marks for this work. Cheney on the other hand appeared to act as the President’s enforcer – say in the recent CIA brouhaha. When this is done, enforcement may be tough to keep quiet. These are just preliminary thoughts. Put your guess in the comment section. The winner gets a signed copy of my dissertation when it comes out as a book. Seriously! Of course you might have to wait until about 2022. Although hopefully it should be ready before then, otherwise my wife will kill me. Everyone who guesses right gets a copy. So feel free to copy other guesses. I'll allow three guesses per person. So if you are confident and think a signed copy of my thesis will be valuable, go ahead and guess Schuyler Colfax three times. Anyway, I'll close the polls on July 31. Vice President Biden’s appearance on George Stephanpoulos’ Sunday morning show has had substantial repercussions, both for Biden’s comments on the possibility of Israel striking Iran and that the extent of the economic downturn has surprised the administration. While these comments have excited much twittering, blogging and punditry – this outlet is interested in the question of what does the vice president do? The first thing the VP does is agree with the President in public at all times. Throughout the interview, whenever Stephanopoulos asked about Biden’s position in the internal debates, Biden rebuffed him saying that the President’s plan was the right one. Biden’s appearance was in the backdrop of a major mission to Iraq as a high-level emissary and in the interview some other tasks were also discussed. STEPHANOPOULOS: So you're in charge of the stimulus. You're the president's envoy here in Iraq. You're supposed to settle this dispute between the director of national intelligence and the CIA over who is going to appoint the station chiefs. By the way, have you solved that one yet? BIDEN: I think we've solved that one. BIDEN: Well, let me put it this way. I think we're well on the way to that being solved. STEPHANOPOULOS: So they're going to share the responsibility to appoint to station chiefs? BIDEN: Not done yet. Let me comment on that next week to you. STEPHANOPOULOS: OK. Well, let me get to the broader point then. You've fixed -- you say you've fixed a problem that will? BIDEN: Well they fixed the problem. STEPHANOPOULOS: ? to find out that they fixed the problem -- look to find out the details on all of that. But you've got all of these discrete projects now. And when you came in you talked a lot about how you didn't want to get bogged down in individual projects because you wanted to be, you know, the president's primary adviser. Are you're worried you're going to far in the other direction? BIDEN: No. Because all of these projects have end dates on them. You know, they all have sell-by dates, because -- and that's I think that -- I hope I've brought some real expertise to this job, available to the president. The things he has asked me to do. I hope I'm relatively good at. And -- but all of them have specific objectives. A number of interesting points here. First, is the last – that every task has an end date. Ongoing responsibilities become albatrosses that rivals can use to sideline the VP (ask the late Nelson Rockefeller). From a bureaucratic politics standpoint, Biden’s role adjudicating between the DNI and CIA over the appointment of station chiefs is particularly interesting. Some useful background on why this was important is here. However, in his masterful Bureaucracy: What Government Agencies Do and Why They Do It James Q. Wilson writes that the most successful coordinating bodies have served as adjudicators and focused on settling policy disputes between agencies. It did not compete with agencies or attempt to alter their operations. The most important component in making this operation work however, is support from the President. The agency chiefs must be clear that end runs to the President on the topic are unacceptable. It appears that this is the role Biden is playing in the station chief dispute. It is a good use of an experienced politician and other VPs have prospered in it. Whether the Biden’s Iraq mission or role in overseeing the stimulus package also follow this model are another question. For a VeepGeek such as yours truly, the fascinating thing about Cheney v. Obama is not the content – it is that anyone cares what an ex-Vice President thinks at all. Ex-Presidents have a certain amount of standing (even Gerald Ford). They have generally acted with great discretion in criticizing their successors, but they have been given deference on the national stage and had access to the public sphere when they wanted it. Fair enough. While the evolution of the Vice Presidency started with Mondale, the evolution of the ex-Vice President is of even more recent vintage. True, Clinton appointed Mondale ambassador to Japan. This was a substantial role and the Japanese were impressed that such a distinguished individual had been sent, but it was not a first. Vice Presidents had been appointed Ambassador before. Charles Dawes was Ambassador to Great Britain and played a substantial diplomatic role. Dawes was an enormously talented technocrat. Lincoln’s Vice President, Hannibal Hamlin was appointed Ambassador to Spain. This was primarily done in order to give the aged Hamlin a grand tour of Europe – a lovely parting gift. Hamlin observed that in Europe he was taken as a great personage for having been Vice President. Vice President Bush became President Bush. Vice President Quayle, when his own presidential ambitions fizzled, faded into obscurity. Gore was a unique case in that he nearly won the Presidency and did win a Nobel Prize (and an Academy Award) – so his status as a virtual ex-President is unique. Cheney did not win anything and is incredibly unpopular. Yet, he managed to drive the debate – taking on Obama in the court of public opinion and, while not exactly winning, not losing either. Some of this may reflect a vacuum in the Republican leadership and some may reflect Cheney’s very lack of popularity and electoral ambition, which allows him greater freedom in what he says. Perhaps his status as the almost co-President contributes to his standing. Still, at this point identifying any trends about ex-Vice Presidents seems pre-mature and I intend to finish my thesis before any more data points present themselves. The Graham Allison classic political science classic, Essence of Decision: Explaining the Cuban Missile Crisis launched this model into prominence when it came out in 1971. Discussing how to develop an analytical framework my advisor helpfully observed, "You could build a time machine and go back to the 1970s when bureaucratic politics was the big thing." Considering the challenges that have been raised against the bureaucratic politics model (it has been called a veritable kitchen sink) this might be the easier path. I was hoping to do some punditry, while also following all things VP, and the national security process from this venue. But there are enough pundits in the world, and most national security process stuff I do is probably better off over at TerrorWonk. So, I'll keep this going with occasional posts - mostly VP trivia, commentary on news about the Vice President (if there is any), and stuff about getting a PhD. Should be fun. The Surgeon General is a position not unlike the vice presidency. It has prestige and profile, but not much power – beyond that of the bully pulpit. In that light, appointing CNN correspondent/neurosurgeon Sanjay Gupta would be an interesting move. It is obviously an effort to revive the role as a spokesperson on national health issues, a la C. Everett Koop. Gupta, as a TV journalist already has the skills for this role. He also has a dash of Washington experience, having done some writing for Hillary as a White House Fellow. No doubt Gupta hopes to play a substantive policy role as well, he is supposed to sit on the Daschle led healthcare reform commission. Gupta, having risen to the top of two very difficult professions, is obviously blazingly smart, focused, and capable. But will that translate into his being an effective policy player – as opposed to primarily being a spokesman? Being smart often is not enough, Bill Frist, a Harvard and Princeton-educated cardiac surgeon was less effective as Senate Majority Leader than former Ole Miss cheerleader Trent Lott. 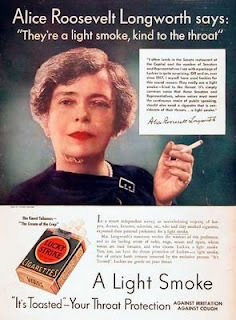 More important to playing a substantive role, is the reality that the Surgeon General has no institutional base. His role is symbolic rather than administrative. (He heads the Public Health Service Commission Corps, which employs over 6000 medical professionals that perform duties in various federal agencies but is not really an agency in its own right.) On a panel with heavyweights like HHS Secretary Tom Daschle (who is also technically his boss) he might not be able to play much of a role. Gupta’s high public recognition might give him some base of influence, but that has to be wielded carefully. Floating trial balloons and advocating inside positions via the media can be effective strategies – but insiders who play those cards too often will soon find themselves outsiders. Ninety years ago today, Teddy Roosevelt died at his home in Oyster Bay. He was sixty. Besides the grim reaper, there were few forces that could contain TR's energy. As VP he came face to face with two of them. I would a great deal rather be anything, say professor of history, than Vice-President. The lack of pressing business as vice president allowed Theodore to spend time playing football with his sons and sparring with his tempestuous older daughter, Alice. My father always wanted to be the corpse at every funeral, the bride at every wedding and the baby at every christening. I can be President of the United States, or I can attend to Alice. I can't do both. Fathers of daughters, from King Lear to the present can no doubt relate. At a New Year's Eve party I was talking to a few friends in the kitchen. I saw my wife standing in the doorway, about to come in. Then she heard me say, "Vice President" and she turned around and walked out.